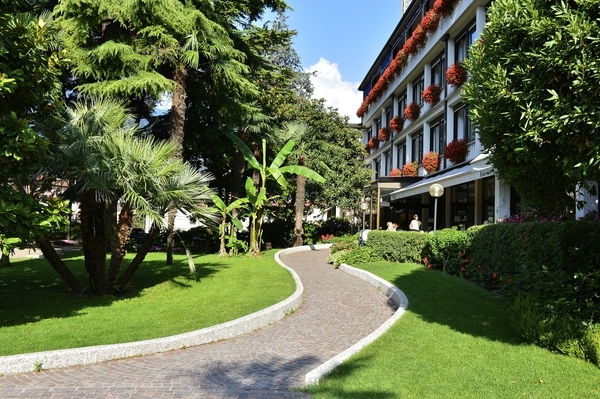 “Implicito Imperial Regio District Captaincy in Riva del Garda. 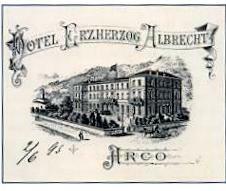 On 27th June 1887, the District Captaincy informed the Municipal Council that His Majesty Imperial Regia, Most Serene Archduke Albert had granted permission for this new hotel to bear his name. The building was opened in November 1888. In 1929, the building was bought by the Società Eremo di Arco. It was renovated and opened as a sanatorium, and on 25th November 1932, permission was given for the addition of 84 beds. Doctor Ugo Crosina, member of the Società Eremo, decided to name the institute after “Pio Foà”, his illustrious professor of anatomy and pathology at Universities of Modena and Turin, member of the National Accademia dei Lincei and senator of the kingdom of Italy in 1908. 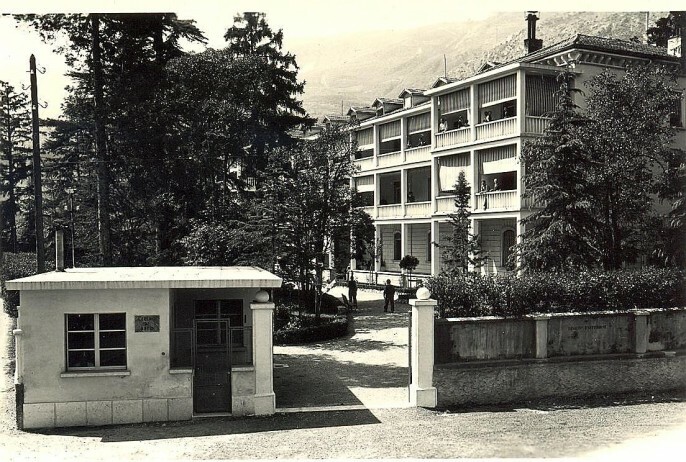 The sanatorium had to change its name in 1943, when, after 8th September, the German forces occupied the area, forcing Dr. Crosina to remove the name “Pio Foà” because it was Jewish. After the war, the building was extended and its capacity increased to up to 130 beds. From the 1970s, with the drop in respiratory diseases, the hospital began to offer care to long-term patients. The Eremo private hospital then began to specialise in a new direction: rehabilitation, as authorised and accredited on 23rd December 1993 by the Committee of the Autonomous Province of Trento, in resolution no. 19227. Today, it offers cardiac, motor and neuromotor rehabilitation.